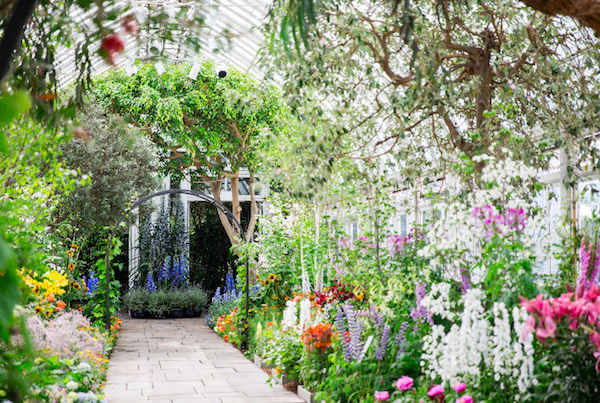 This year the New York Botanical Garden celebrates 125 years. 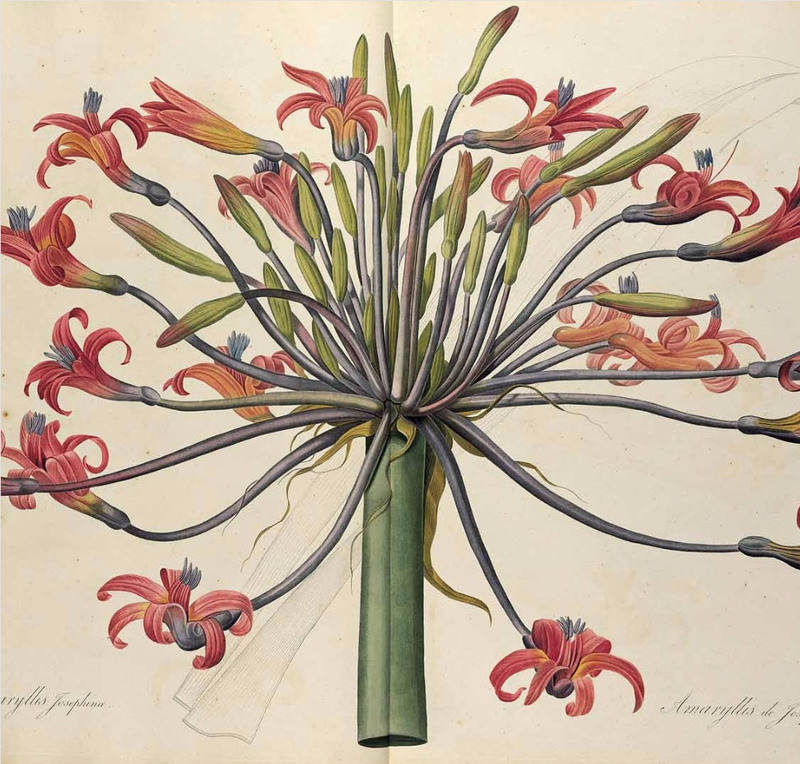 One of New York City’s most prized cultural institutions, the Botanical Garden is not only an urban oasis of breathtaking beauty, but also a a world-renowned leader in plant research and conservation and an educational facility that attracts both science scholars from around the globe as well as children, deepening the connections between plants and people. 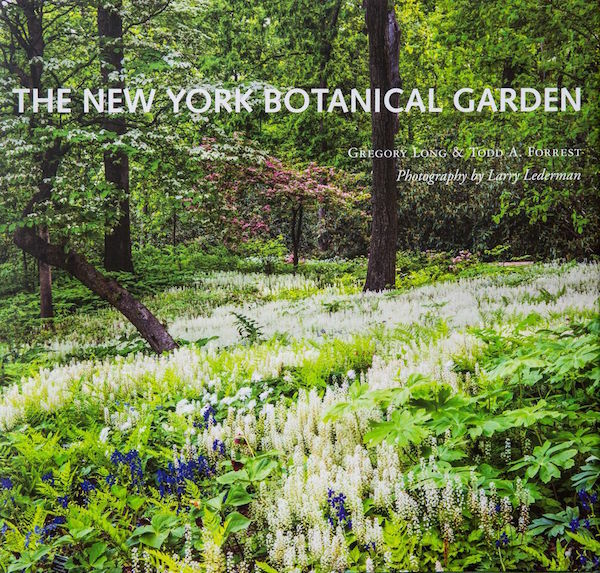 In celebration of the Garden’s 125th anniversary, a newly revised edition of the original encyclopedic resource book, The New York Botanical Garden, documents the many aspects of the institution, with updated text and over 200 new images by Larry Lederman. Inspired by Elizabeth Britton’s visit to the great Royal Botanic Gardens, Kew, in London, the idea for the Botanical Garden was born. 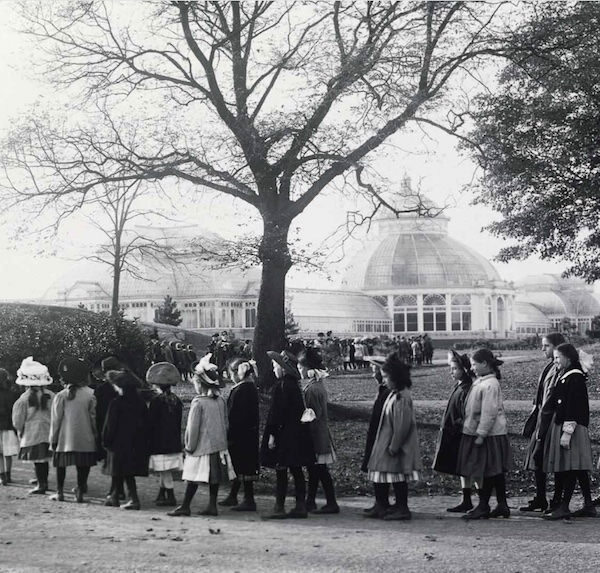 Planning began under Calvert Vaux, the co-designer of Central Park, with the contract for the great Conservatory going to Lord & Burnham. In 1902, the Garden was opened to the public, as seen above. 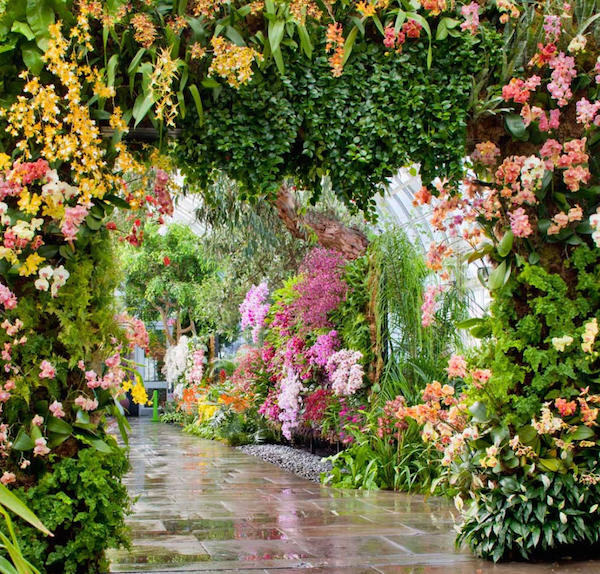 and of course the annual Orchid Show – French botanist and garden designer Patrick Blanc’s amazing living wall of orchids from the 2012 show, below. 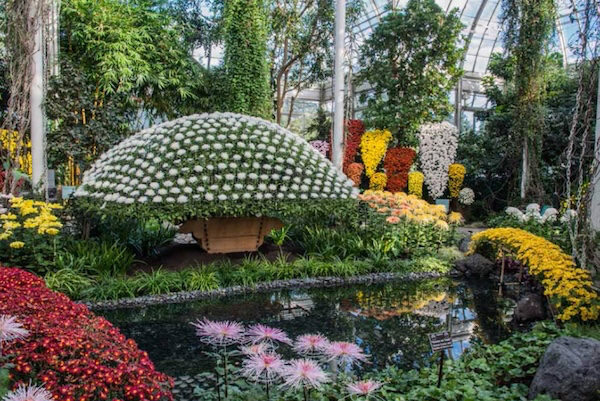 And yet, the Conservatory is but one aspect of the Garden’s many stunning assets. Across its 250 acres, there are more than one million plants including 30,000 trees comprosing its living collection. 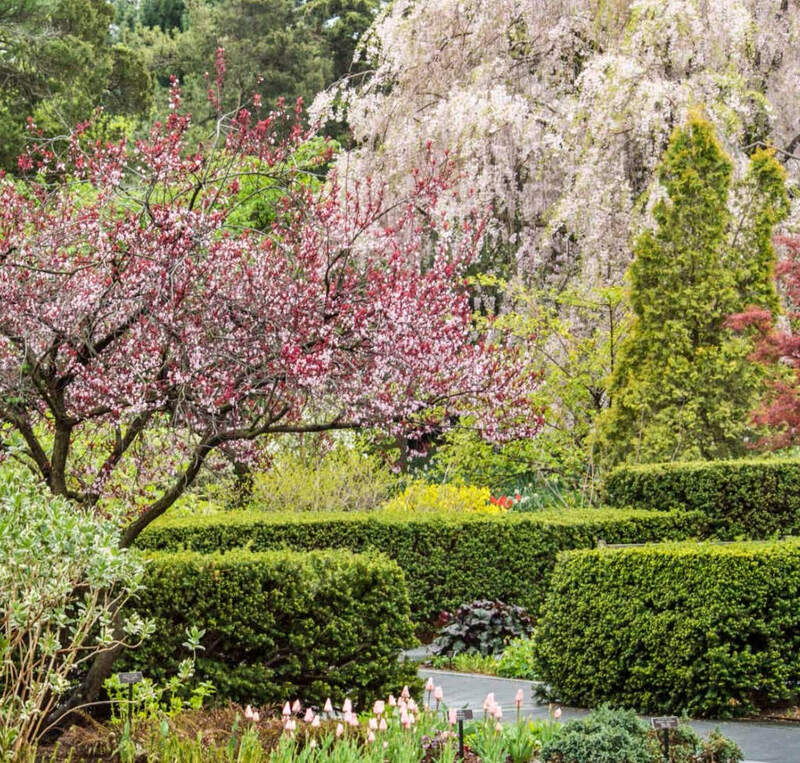 Designed by Lynden B. Miller, the captivating Perennial Garden, with its glorious array of flowers, foliage and fruit, is arranged in a series of four outdoor rooms enclosed by clipped yew hedges. 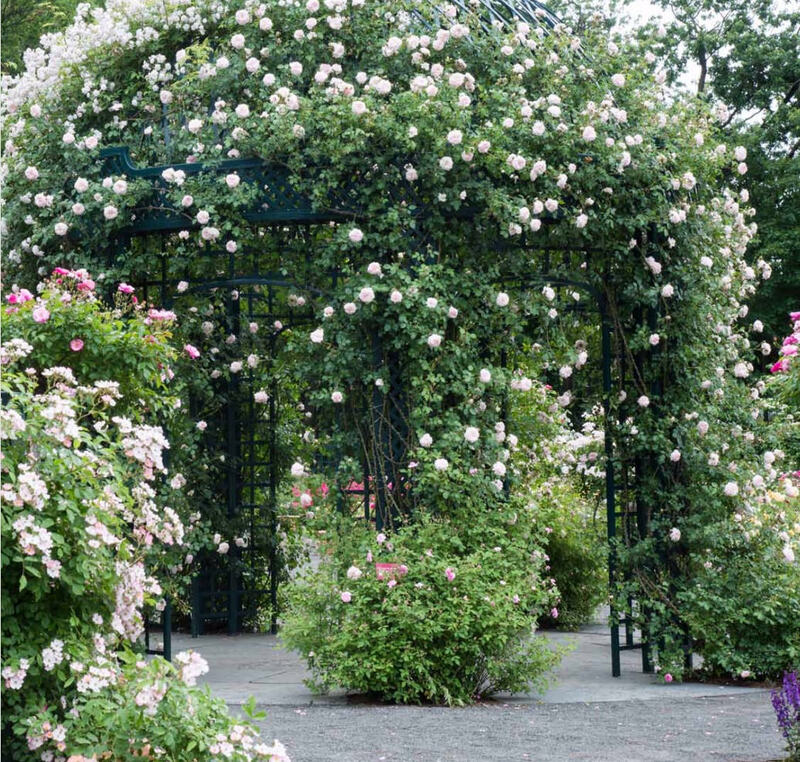 The Peggy Rockefeller Rose Garden, originally designed by famed landscape architect Beatrix Farrand, was finally completed in 1988, 72 years after it was designed. Featuring thousands of roses of both heirloom and modern varieties, it is also the world’s greatest collection of disease-resistant roses. 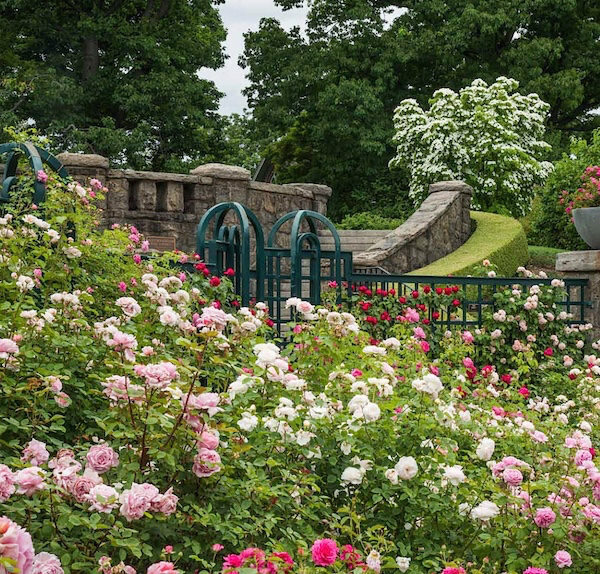 And with the efforts of the Garden curators and horticulturists, it is one of the most environmentally friendly rose gardens in the world, earning it many awards including induction into the Great Rosarians of the World Hall of Fame. 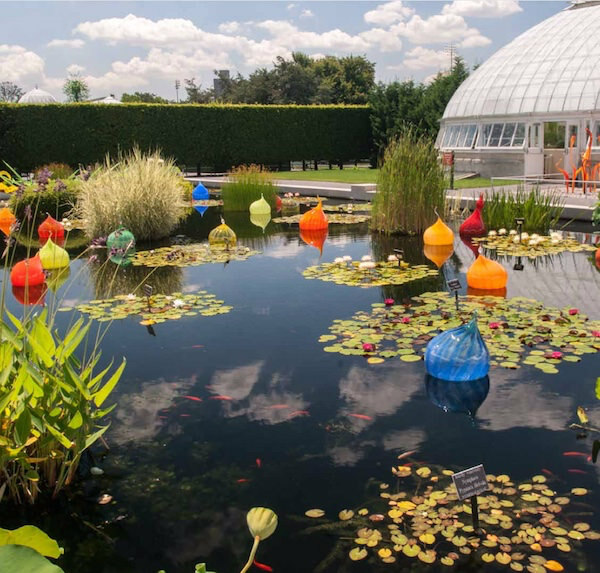 The Garden has also, over the past twenty years, worked with artists and museums to offer special art installations, such as a collaboration in 2006 with sculptor Dale Chihuly for an extensive installation around the Garden including Walla Wallas in the Conservatory Courtyard Pools. 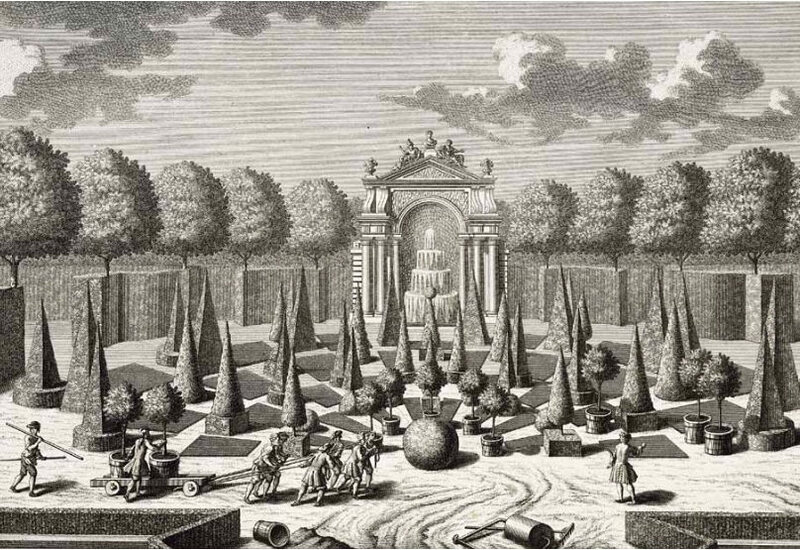 and this amazing 18th century Austrian garden design book by Salomon Kleiner, depicting an elaborate topiary garden. The NYBG is also a teaching garden and provides a wide variety of innovative programs for both adults and children. 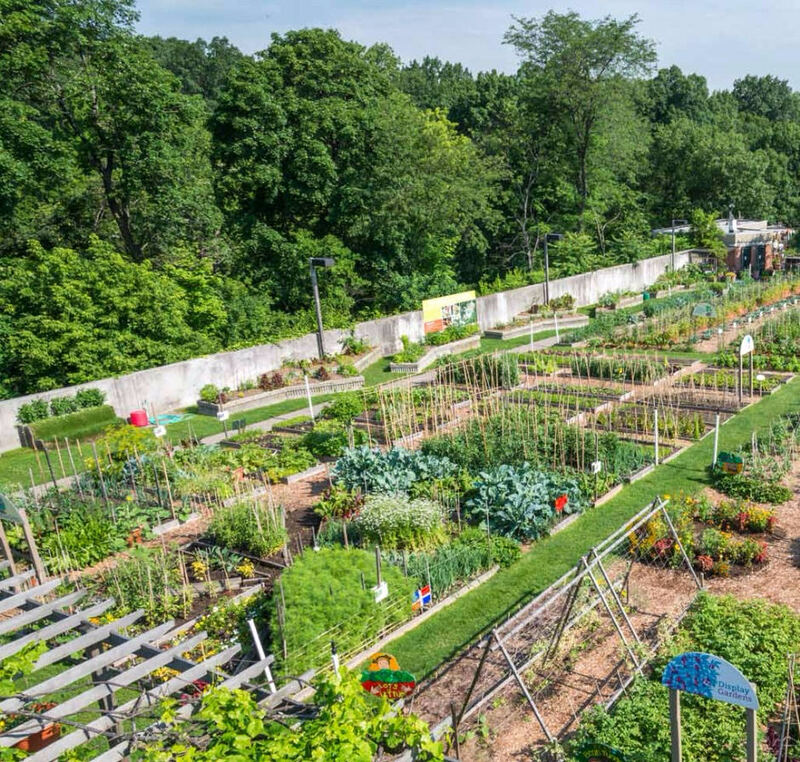 A new state-of-the-art facility, below, is being transformed from the Ruth Rea Howell Family Garden, below, that will house the new Edible Academy – an expanded organic vegetable gardening program promoting the benefits of a healthful lifestyle through organic gardening techniques. In addition to the book, the New York Botanical Garden celebrates 125 years with special events throughout the year including the Impressionism: American Gardens on Canvas on view now through September 11. Including about 25 paintings and sculptures, accompanying garden displays echo those that inspired such artists as Childe Hassam and John Singer Sargent. 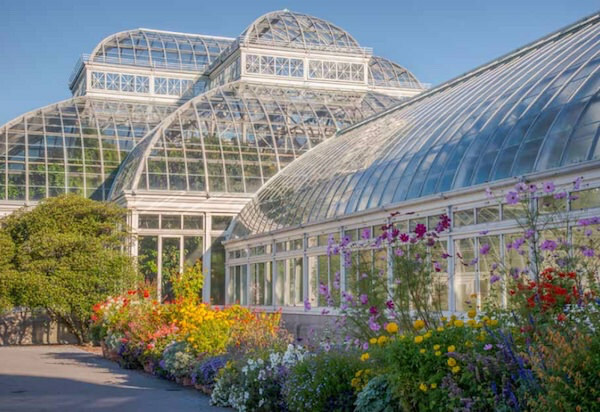 The New York Botanical Garden is a living National Historic Landmark that has offered over a century of beauty, scientific study and teaching programs. As it continues to evolve, we will look to it not only as an august custodian for the beautiful plants of the world but as a center for our grown environment’s future. This entry posted in architecture, books, design, garden. Entry Tags: Books, Gardening, Gardens, New York Botanical Garden, plants Bookmark the permalink. Marvelously beautiful oasis in NYC: NY Botanical Gardens! 80 queries in 0.442 seconds.